Our services are all guaranteed to be performed by a professional. At Precision, we are here to help you day and night! For years, Precision Garage Door of the Bay Area has been the home of value and convenience for professional garage door repair, replacement and installation services. Our service technicians are trained, experienced and always standing by to help you with your garage door problems. We are a Diamond Certified business and have been the go-to professionals for years, and we're always just a short phone call away. "Call now and you will be helped by a live person- guaranteed." At Precision Garage Door Bay Area our garage door services are always affordable and done by the best garage door technicians around. Many San Jose garage doors problems can be fixed by one of our trusted repairmen. Our technicians are the Bay Area garage door specialists and are always ready to help around the clock. We can handle anything from a simple San Jose garage door repair to a more complicated garage door replacement in San Jose. So before you head to your local home improvement store to buy a new opener, give us a call and speak with one of our seasoned San Jose garage door opener replacement experts at (408) 571-6699. Seen Our Bay Area Garage Door Experts on TV? Have you seen us on TV!? We have been running commercials about our stellar Bay Area and San Jose garage door repair, replacement, and service work on television! Let us know if you’ve seen our TV spot! Remember, when it comes to garage door repair, replacement, and service, the experts here at Precision Garage Door Bay Area are always the ones to trust. If you are looking for the absolute best garage door repair in San Jose, then you’ve come to the right place. Our garage door experts know how stressful it can be when your garage door begins to fail. Imagine being ready to leave for work when suddenly your garage door won’t open leaving your car trapped inside your garage. Unfortunately, this is a problem has happened before, that’s why our technicians are always standing by and available 24/7 to help you with all your garage door concerns. We understand that disaster can strike at any moment and the severity of each job may be different which is why our team comes prepared to take care of every situation imaginable. Our trusted team can handle any job you need to be done, including but not limited to a professional San Jose garage door replacement. We have been the go-to professionals for all things garage doors for years, and we always come recommended by our many satisfied customers. When it comes to reliable Bay Area and San Jose garage door services – Make the right decision, call Precision Garage Door Bay Area. When you call our trusted team of local garage door technicians in San Jose the job will get done right away. With our fast service there is no need to wait around for weeks. Our team will go to your home and have your garage door working properly in no time. Sometimes our technician’s findings show that it may just be a simple garage door opener replacement in San Jose or your door is off track. No matter the issue, our technicians have the skill and knowledge to fix the problem at hand. Do not hesitate to reach out because we can help get rid of that garage door nightmare today. What Kinds Of Garage Door Services Do Our Precision Technicians Offer? There is no shortage of what our team can do for your garage doors in San Jose. When your garage doors are having a hard time opening and closing you may be in need of a new pair of San Jose garage door openers. Luckily our local company carries the best garage door openers in San Jose that money can buy and know exactly how to install them. If your garage door opener in San Jose is starting to give out or is no longer working contact our team to take care of it. For customers with spring garage doors, your garage door springs in San Jose can make a world of a difference for your home and make opening and closing your doors safely. Although it may seem easy, attempting to replace these heavy duty springs alone can be dangerous. This is why our specialists recommend always getting the help of a professional to ensure a safe and proper installation. Call us if you think that your home may need a San Jose garage door spring replacement today. There may be times where a simple San Jose garage door repair is not enough for an older property. In some cases our garage door specialists may recommend a San Jose garage door replacement. Replacing your garage door can provide multiple benefits including. 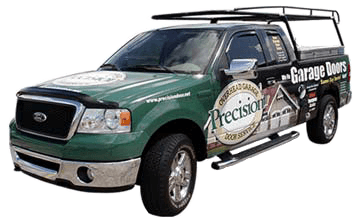 At Precision Garage Door of The Bay Area, we pride ourselves on being the go-to professionals for all things garage doors. Our trusted team of technicians is certified to handle, maintain and replace all major brands of garage door openers including Liftmaster, Chamberlain, Marantec, Sears, Overhead Door, Raynor, Stanely, Craftsman, and MORE! We accept all major credit cards, and with us, your satisfaction is always guaranteed. If you would like to schedule our services, then just pick up the phone and give us a call at (408) 571-6699 or fill out our online contact form. Remember, we’re the expert garage door professionals you’ve Seen On TV!